This is one of many artist monographs published by Laurence King Publishers as an accessible introduction to the well known designers, painters and creatives. The author for this book is Ian Volner and illustrations are from Michael Kirkham. The book basically follows the career of Frank Lloyd Wright as he was starting out to the legacy he has left behind. Just like many creatives, his life is filled with ups and downs. The book also covers his personal life, the scandals, his bad luck with fires. Ultimately, people would probably buy this book to read about his buildings. The writeup is quite concise and each building is given short but interesting back stories. I found it an enjoyable read. 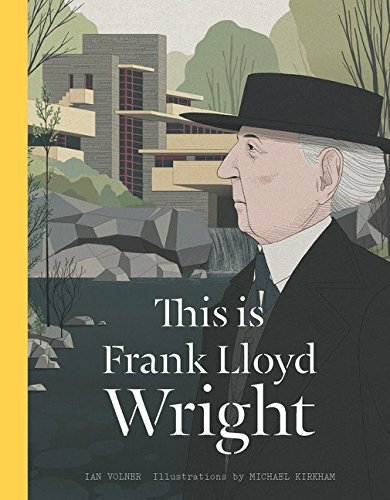 For those who are already knowledge about Frank Lloyd Wright and his work, this book is perhaps too elementary. But overall, it's a good introduction to a talented and renowned architect.